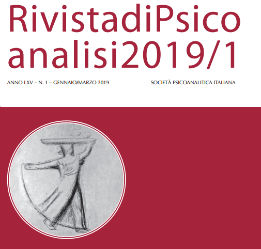 Seeing the difficult situation of psychoanalysis today, in particular the difficulties related to securing a tenured position at a university, Charles Hanly, our IPA President, has asked me to write to the leading psychoanalytical journals. He would like to draw your attention to the predicament of PhD candidates, but also of many other IPA colleagues, who have done research in psychoanalysis (not only evidence-based research but also conceptual and historical work) and who are finding it difficult to secure venues in which their work can be published. As a consequence, these individuals are having difficulties competing for academic appointments. For example, our university-affiliated psychoanalytic colleagues are in competition with PhD psychologists and psychiatrists, who are doing research on non-psychoanalytical clinical/theoretical topics. These researchers have more venues for publication and are strongly helped by a group strategy aimed at securing academic positions. They are able to do this thanks to the support of their specific journals and reviews, and through a system of quoting one another, which increases the impact both of the authors themselves and of their journals and reviews. In contrast, with respect to individuals who publish in our psychoanalytic journals and reviews, these colleagues have never received much assistance or consideration. Furthermore, we generally lack a common policy that considers the aim of acquiring university tenured posts for psychoanalysts and psychoanalytic researchers not only important, but necessary and vital for our future survival. 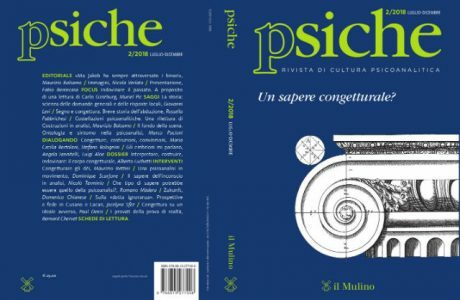 Therefore, the purpose of this letter is to encourage you – the directors, editors and reviewers of psychoanalytic publications – to help facilitate high-quality publications by our young and not-so-young authors of this kind of research and to open specific space in your journal (or review) dedicated to them. Of course, we want you to maintain the exacting standards that must be met to make a manuscript worthy of publication. What we envision are procedures to help psychoanalytic researchers and scholars to get their work up to those standards. For example, this might take the form of revise-and-resubmit decisions that provide extensive feedback, so that an author can realize their potential and get their work published – which is so essential to their academic careers. This letter invites you to begin developing policies that work in this direction. On another front, you have probably already taken steps in this direction by asking your authors to quote not only our classic masters and mentors, but also principally the colleagues of the generation closest to us, which is the only way to make our journals and reviews better indexed. Continuing to quote only the founders and beloved progenitors of psychoanalysis does not increase the impact of our journals and reviews. Quoting contemporary authors, particularly those who have published in the same journal (but also in other psychoanalytic journals), helps to increase the value of our papers and thus the value of our journals and reviews. If we move in this direction, it would mean moving in a way that takes account of the present reality and does not deny it. Obviously, authors, reviewers and editors must be informed regarding these problems and the necessity to change our policies. Of course, I would like to stress that this is not the only thing that we (and the IPA) need to do in order to accomplish this task. It is just one step in organizing a new global policy in defence of our beloved discipline. I have also spoken to the IPA’s President-Elect, Stefano Bolognini, and he agrees with the spirit of this invitation. Thank you for your attention to this matter. The IPA’s Psychoanalysis and the University Committee is at your disposal to discuss these points, so please don’t hesitate to contact me if you consider it useful. 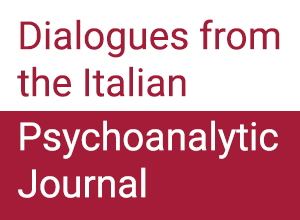 I also hope to travel to New York in January, to the Annual Meeting of the International Council of Editors of Psychoanalytic Journals, and to have the possibility of personally presenting this issue during that meeting.